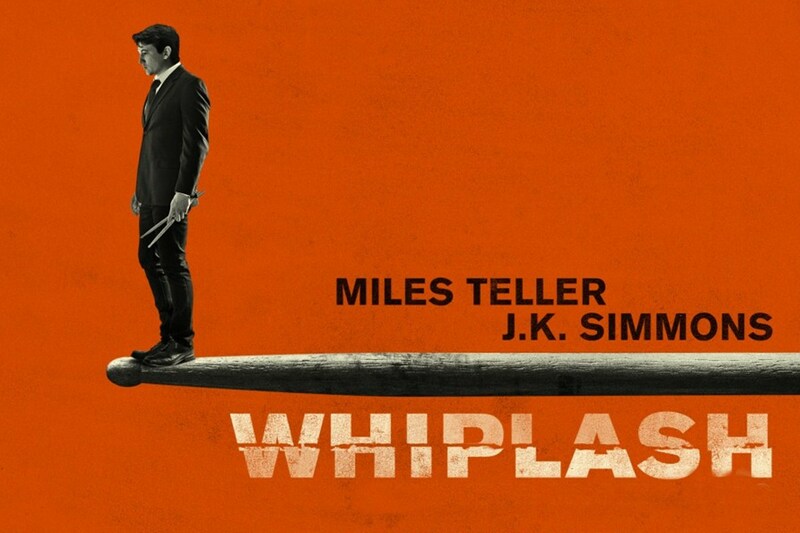 I’ve been waiting for Whiplash to come to a theater near me and it never really did, so I finally made the trek out towards Los Angeles to find a theater that was playing it. 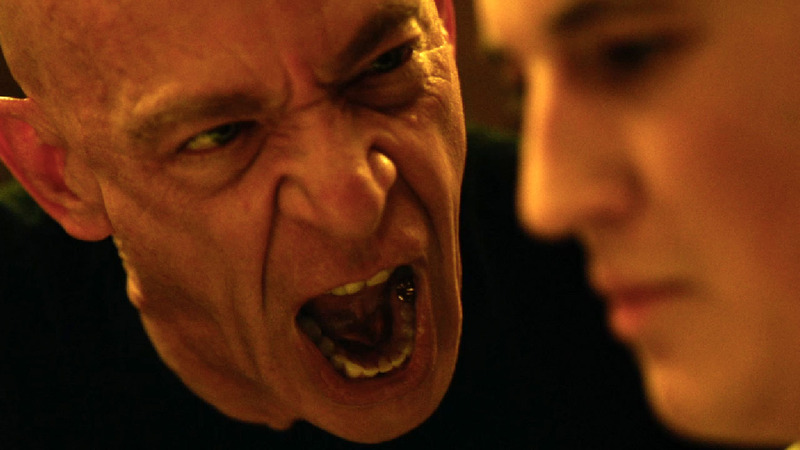 J.K. Simmons already won the Golden Globe for Supporting Actor and he’s in the running for an Oscar as well. Whiplash was also nominated for a Best Picture award, so I felt there was enough of a reason to go out of my way to find somewhere it was playing. Miles Teller (The Spectacular Now, Divergent) stars as Andrew, a freshman at a prestigious music college, who wants to be a great drummer. 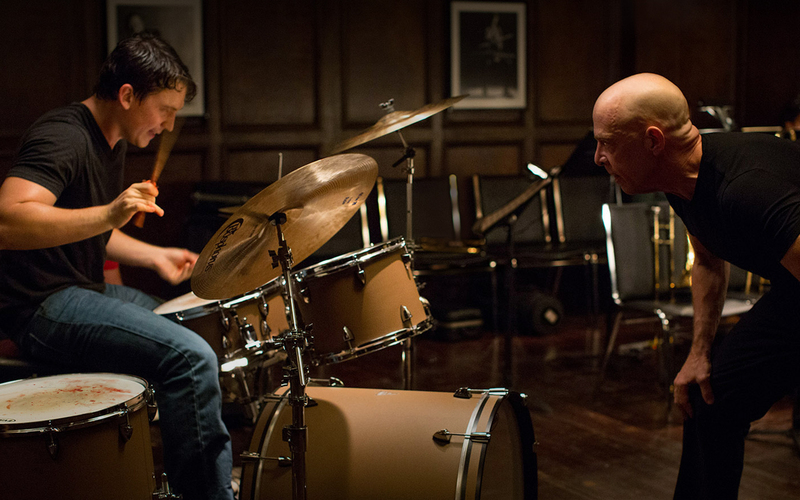 When the movie opens, he is spotted by instructor Terrence Fletcher (J.K. Simmons) and is brought into Fletcher’s biggest orchestra, which is preparing for several competitions. It isn’t long til we see that Fletcher will do and say anything to push these students past their limits. Some students can’t take this pressure though, so he has a notorious reputation for emotional damage. The movie basically follows them throughout this competition season and we watch as Andrew gets pushed further and further to the edge. Both Teller and Simmons give astounding performances here. Teller has really made progress since his debut in films like Project X, 21 and Over, and That Awkward Moment. Instead of being destined to that cliche, he has fought his way out and he’s made quite an impression here. Throughout this movie, he is beaten and beaten and beaten and he’s able to convey this brokenness in the smallest of ways, yet it works completely. He also went through extensive training to learn how to drum this well and he nails it. 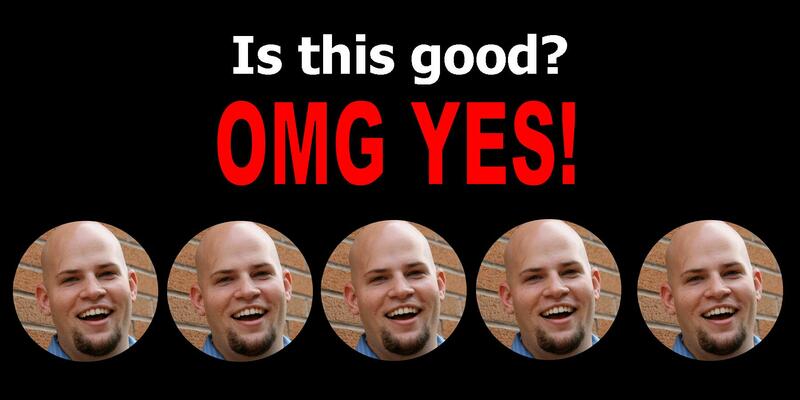 Simmons is the perfect counterpart, supposedly wanting only the best from these students. You flip flop multiple times through this movie, whether what he’s doing is right or wrong. He gives you some convincing moments that lead you to believe he’s in the right, yet there’s plenty of arguments to the contrary. Why Simmons really succeeds is his ability to change personalities at a moment’s notice. There’s a lot of humor here, where he’ll have you laughing, but it only takes a second to flip into absolute terror. He has a few emotional scenes where he’s on the verge of tears, that really pull on your sympathetic heartstrings, so Simmons has a lot of flexibility here and delivers an absolutely incredible performance (on par with Gyllenhall’s from Nightcrawler, in terms of dark complex characters). The story that these characters exist in is actually a really simple premise, with only a few characters that even have names. It gives you enough context to understand why Fletcher pushes him so hard and why Andrew wants to succeed so badly. But in terms of plot, it’s a straight-forward and simple storyline, until the final few scenes, that took the story to a place I didn’t expect. Lastly I want to give kudos to the music from this film, which is mostly the music being played by this orchestra. These big music numbers are beautiful, which is a great contrast to the sometimes tragic moments on-screen. This movie is fantastic. Zero complaints. All musicians should see this movie. I take that back. Everyone that has found a passion in some interest or hobby should see this movie. Anyone that wants to be better should see this movie. Miles Teller and J.K. Simmons deliver performances that pull you along a crazy emotional journey, full of beautiful imagery, great music, and a story that you won’t soon forget. This movie is simultaneously inspiring and haunting, in the best possible way. This entry was posted in 5 Stars, Movies and tagged academy awards, adam ryen daniels, best picture, best supporting actor, drumming, drums, golden globes, i am your target demographic, iaytd, j.k. simmons, jk simmons, miles teller, movie review, movies, music, musicians, orchestra, passion, whiplash. Bookmark the permalink.